Every year I do something to give back to the community, do you? If you remember, last year we helped out Henry multiple times. This year I think my kids and I will do THIS when we're in Mexico for Thanksgiving. 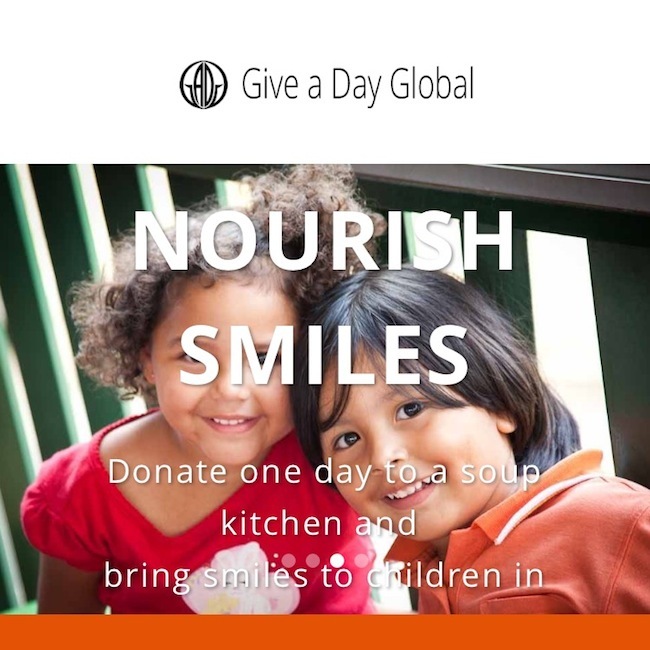 Heard about this service Give A Day Global? I think it's awesome! Travelling for me is a passion, because is the best way to learn about the world, meet different walks of lives, broaden our horizons and can be life changing. That's why I choose many times to go off the unbeaten path with my children and visit less developed countries such as Cuba, Colombia & Egypt. It's an education that can't be taught in books, only experience, and I feel is essential for us to see with our own eyes. Especially since we live in fluffed up America, and are spoilt brats! 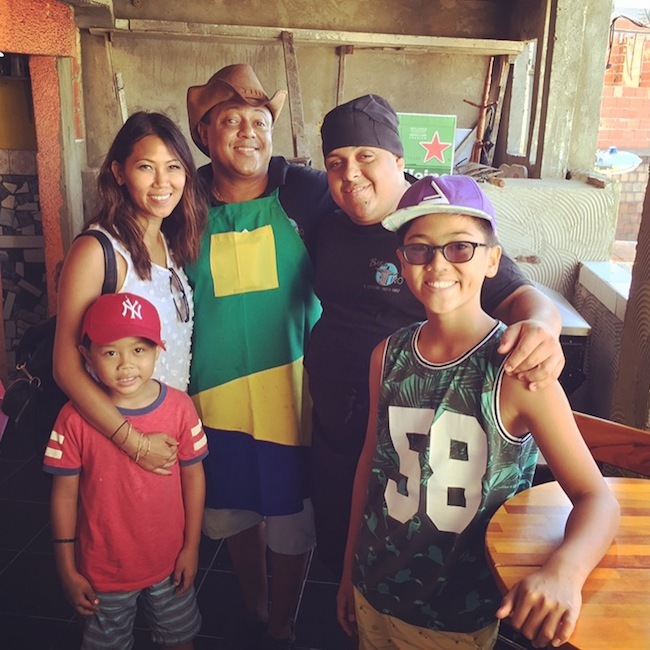 In the past when we've travelled our interaction with the local community has been to the limited extent of dealing with the locals on the streets, shops, restaurants and taxi's, but not actually socializing with them in an intimate setting. 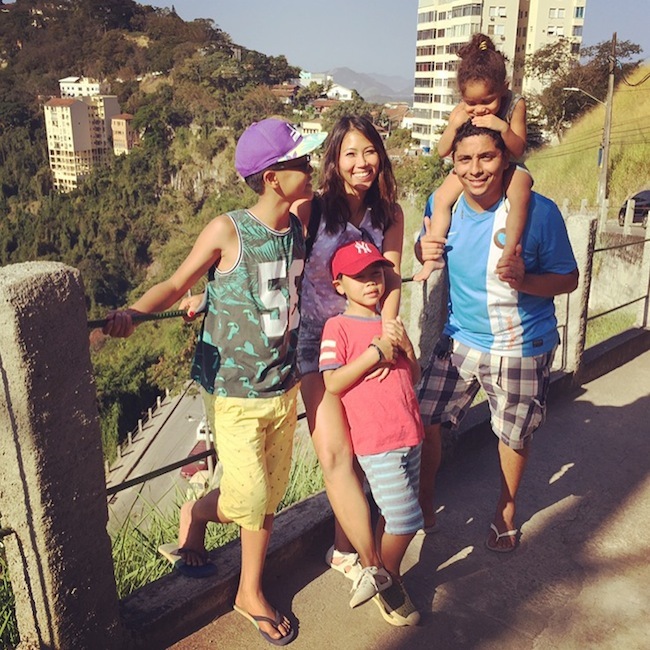 However, when we were in Brazil this last summer 2015 we had the amazing experience to visit a Favela. Otherwise known as their slums. We ate lunch with a family who prepared a meal for us in their home. 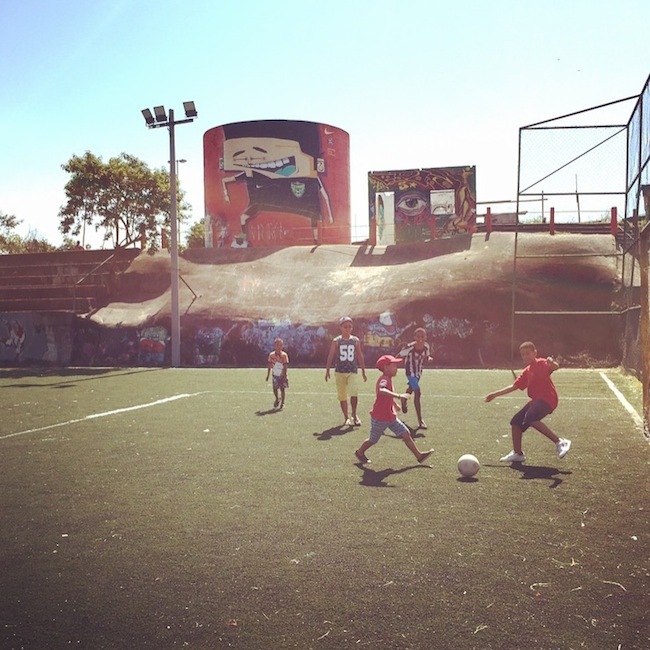 Then my boys played soccer with the kids in the Favela community, whom ran around kicking a ball in flip flops or even barefoot. No fancy sneakers or soccer cleats. 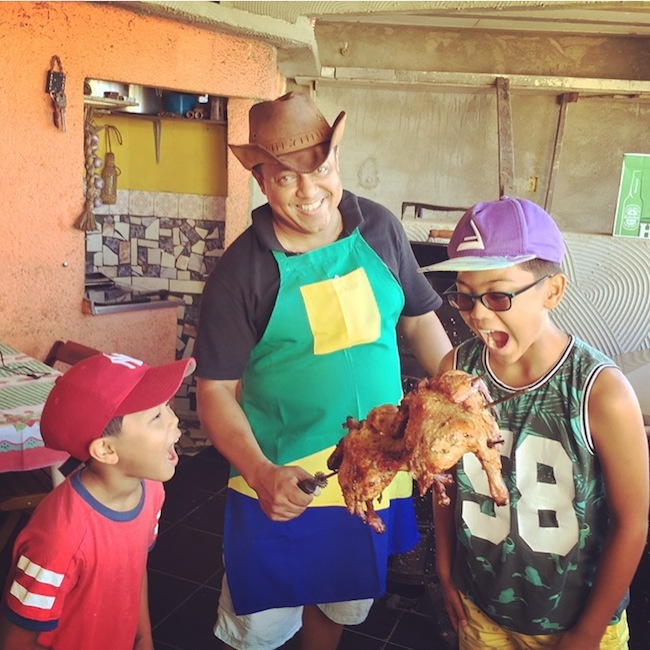 If you ask my kids this was the highlight of our 2 week trip in Brazil! It was a beautiful sight to see two very extreme walks of lives, naturally playing and interacting in a different language and setting with little fluff. Yet there were no barriers and no judgement. This is how the world should be. This is what we need for world peace. This is what we need to do more of to understand the differences in cultures, realize how fortunate we are, appreciate what we have, and make us see that we all need to make an effort to continue to reach out and help those less fortunate. Not only in education, monetary and material ways, but also in emotional ways. At the end of the day we're all humans. The cost of giving someone a hug, making someone laugh or feel loved in order to have a brighter day doesn't cost a thing. So sprinkle that happiness everywhere! Not only will it make them a better person, but will make you better too. Honestly, what is one day or even a couple of hours to give up out of your busy schedule? Nothing. With Thanksgiving and Christmas around the corner, there is no better time then this season to give back. Even if it's just in your own local community, that counts too, because yes, even in America we have many of our own in desperate need. Give a day and help make yourself and this world a better place.